All additional images ©Roxanne Lowit. Courtesy of Roxanne Lowit. 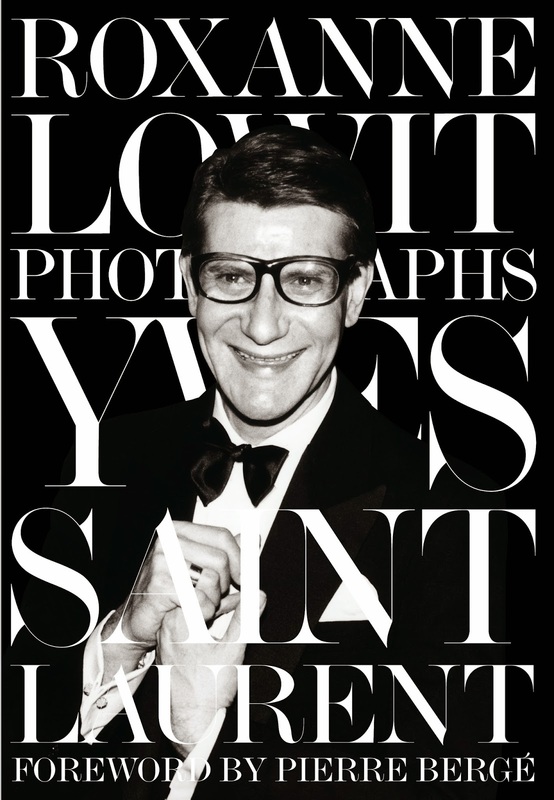 The new release by Thames and Hudson of Roxanne Lowit Photographs Yves Saint Laurent tells the story of this iconic fashion designer, through the magical images of Miss Roxanne Lowit's innovative photography. She had a cherished quarter of a century friendship with Saint Laurent. They met, along with Andy Warhol in 1978 atop the Eiffel Tower in Paris. Lowit was the first to photograph from behind the runway and capture the oh so stunning backstage scenes of his couture collections and did so until the presentation of his very last collection in 2002. 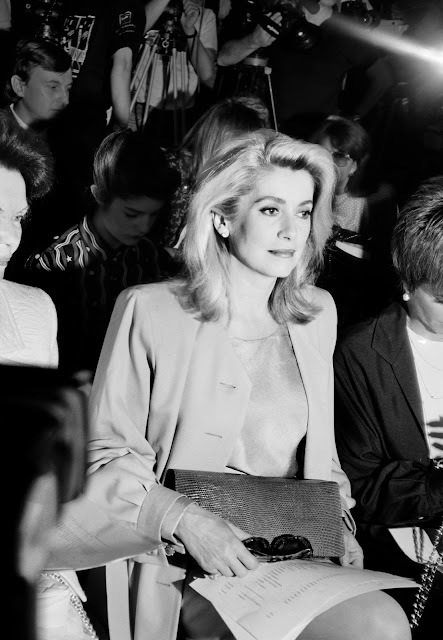 When the Metropolitan Museum of Art unveiled a retrospective of his work; honoring for the very first time a living designer, Roxanne recorded it through her lens as Saint Laurent's official photographer. 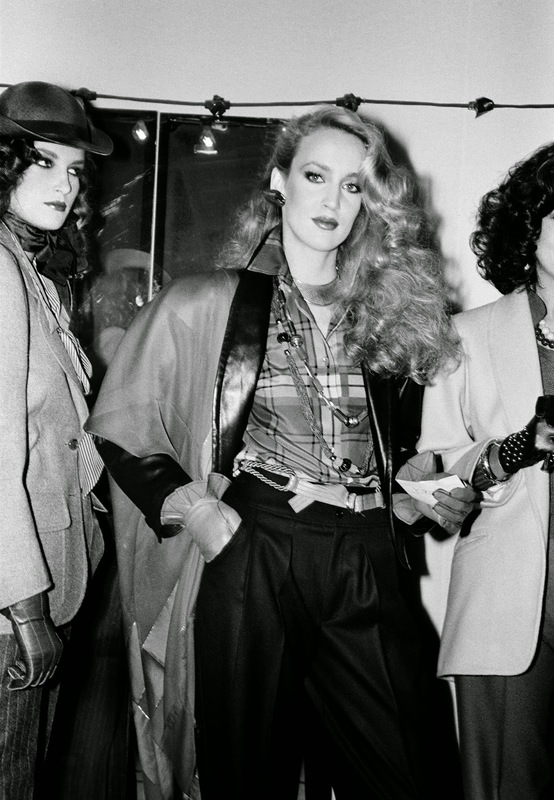 This fabulous book of high couture fashion includes contributions by Catherine Deneuve, Jerry Hall, Grace Jones, Paloma Picasso, Lucie de la Falaise and more. Models_head_scarves Ready-to wear Spring 1981. Truly works of art! 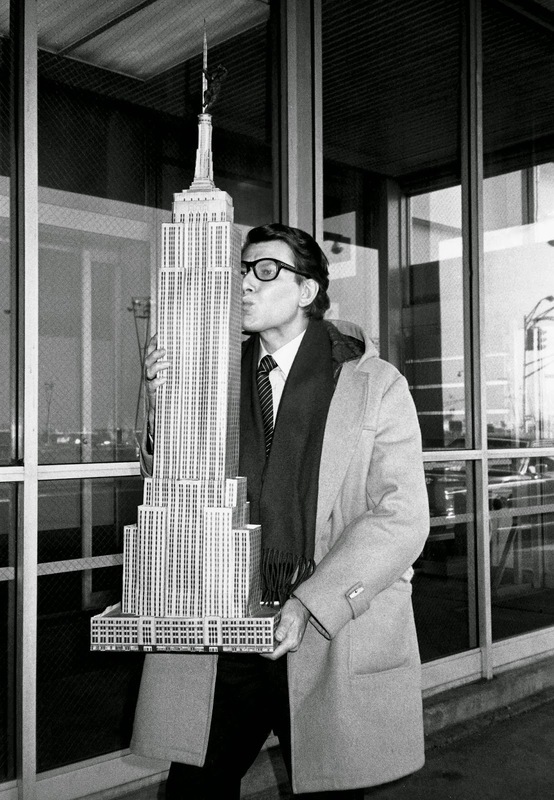 Lowit seemed to appear out of nowhere, surprising Saint Laurent, and presenting him with this cardboard replica of The Empire State Building as he was getting ready to board a flight to New York City in 1983 to present his collection for the first time in America. This luxe book is filled with glorious images of Saint Laurent's chic fashion designs, many being his mystical visions of the exotic and of color filled palettes. 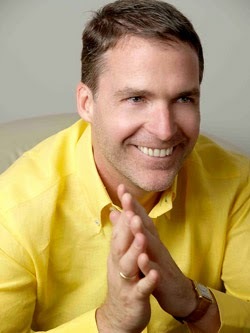 He was a master at imparting an intriguing, vibrant story through every new collection. Comment after comment reveals the charm of Saint Laurent. He was a quiet, gentle, fun-loving man. 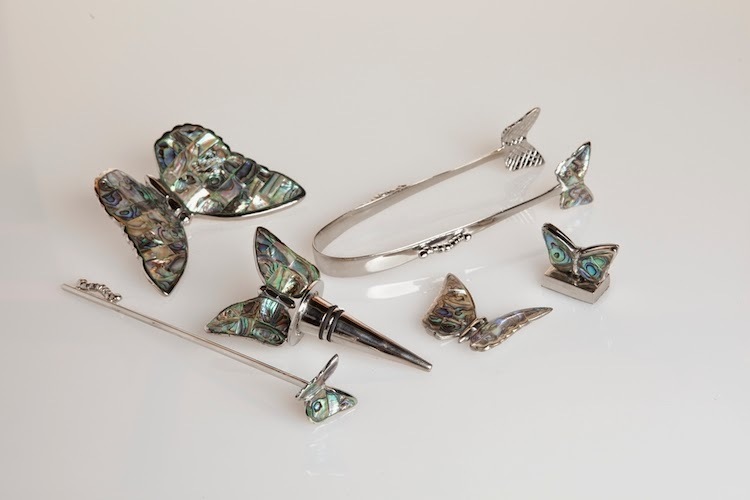 During the preparations for his fashion shows he always took the time to put jewels and accessories on his models; making last minute adjustments before sending them down the runway! 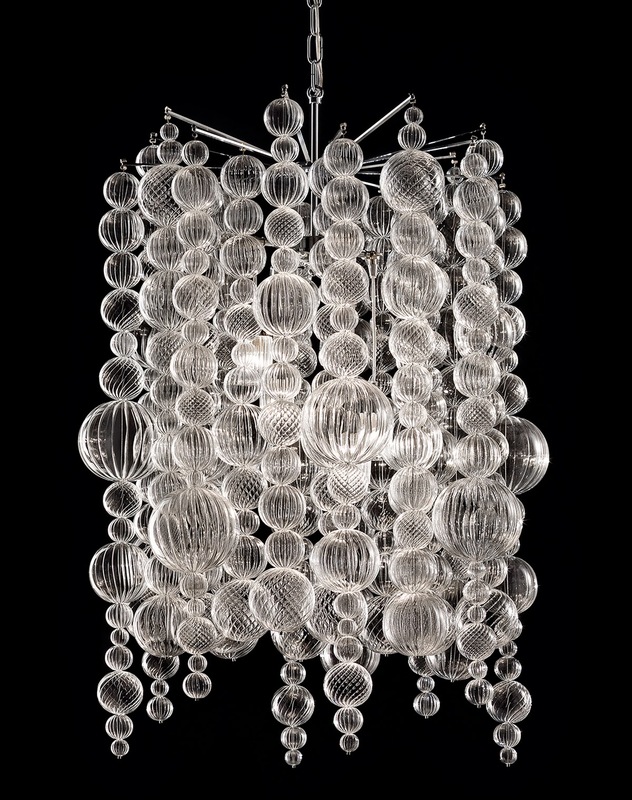 The most famous, glamorous and celebrities around the world who wore his designs felt a close affinity to this man, unlike no other, as he personally designed their ensembles. His influence will be felt forever in the world of Haute Couture. Thames and Hudson provided me with the publicity copy of Roxanne Lowit Photographs Yves Saint Laurent. You can purchase this fabulously photographed and wonderfully enlightening book about this master of creations for your fashion design library at Amazon or your local book seller. Be sure to sign up for email notifications so that you do not miss out on my latest features! 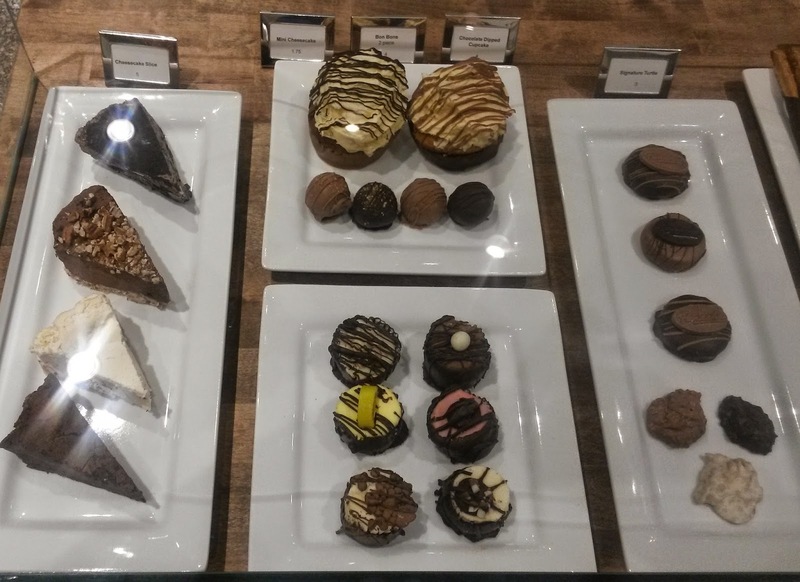 Last week I attended a reception at the newly renovated Panache Chocolatier and Cafe on the Country Club Plaza in Kansas City. 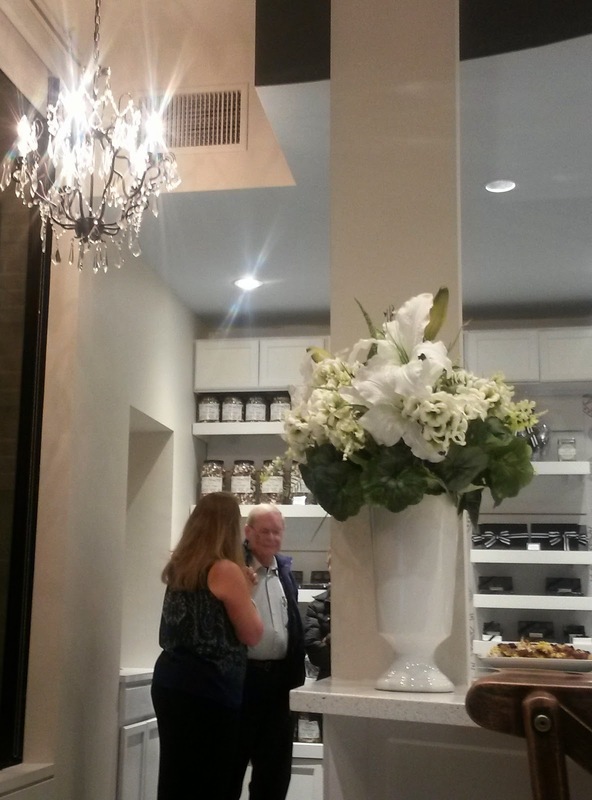 The new owners Julie House and Erica Ismert have created a beautifully classic decor for their premier establishment. 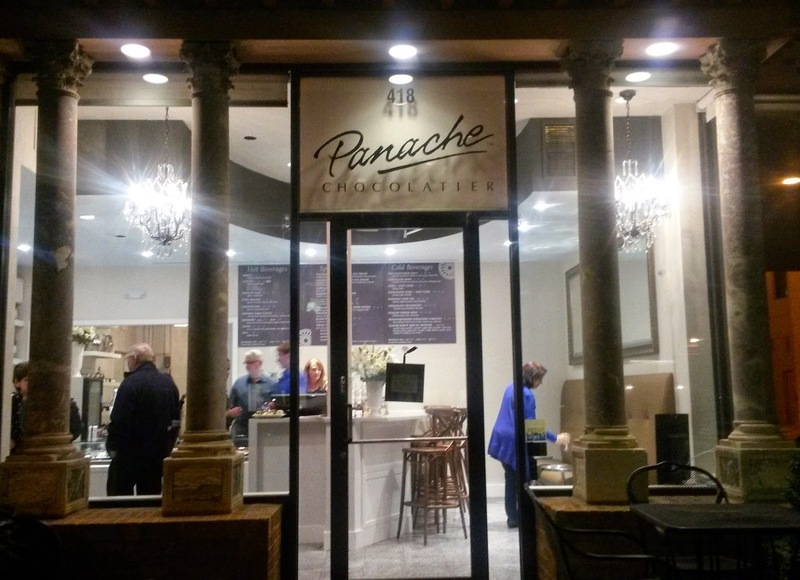 For thirty five years Panache has been locally owned and the only chocolatier on the County Club Plaza. 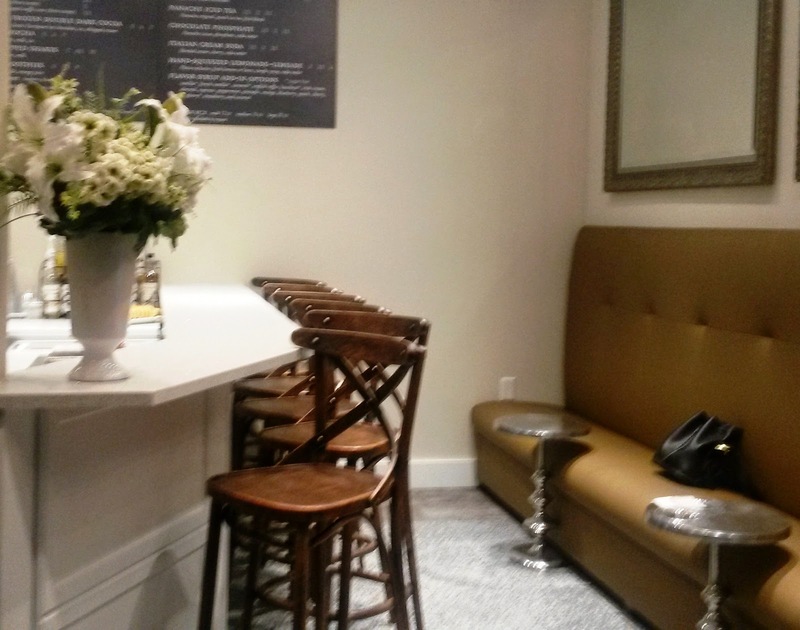 This fall in addition to the highest quality of artisanal chocolates, the new cafe is offering specialty drinks and specialty desserts; adding new European cafe items to enhance the experience of a respite at this fine locale. 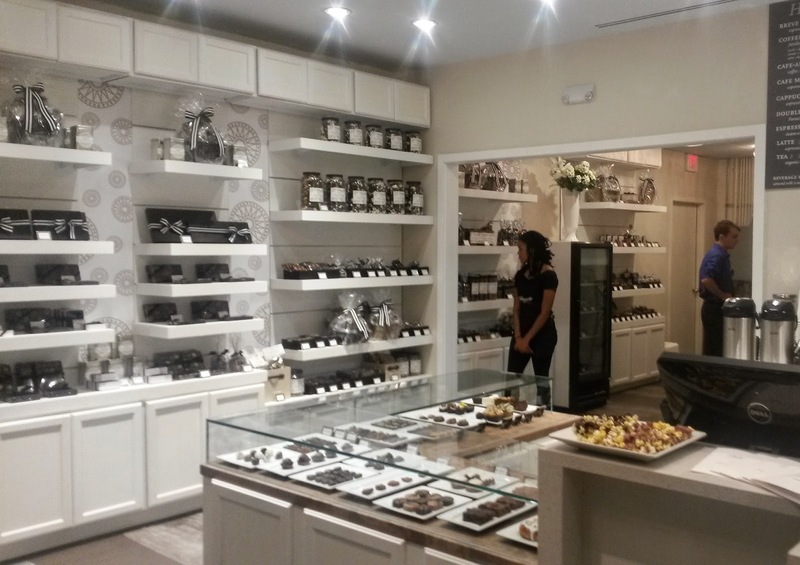 Always renowned for their Corporate Gifting, the owners and staff offer a very personalized experience that brings clients back time and time again. 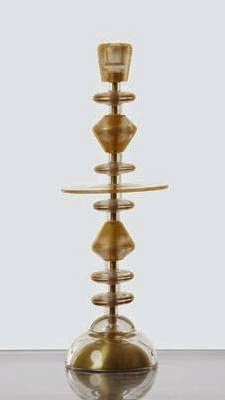 They can create your company logo and offer a variety of truly artistic presentations. 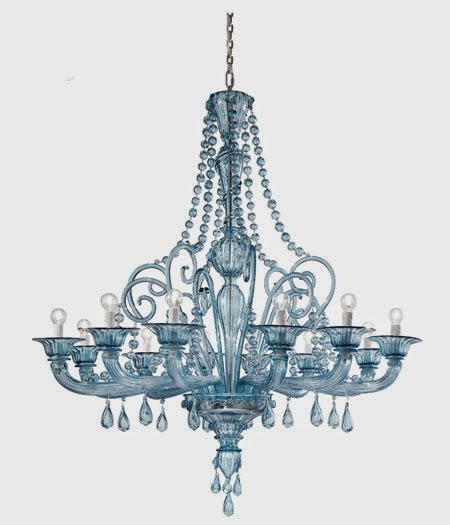 They also have the ability to ship nationally as well as offer local courier service. The shop is a wonderful venue to reserve for hosting Meetings and Conferences, Office Parties and Events, Wedding Showers and more. Some perennial favorites are the much desired Signature Turtles, variety of Chocolate Truffles, Choco-Poppo, Choco Flakes, Chocolate covered Oreo, and much much more; so many treats you will not find elsewhere. 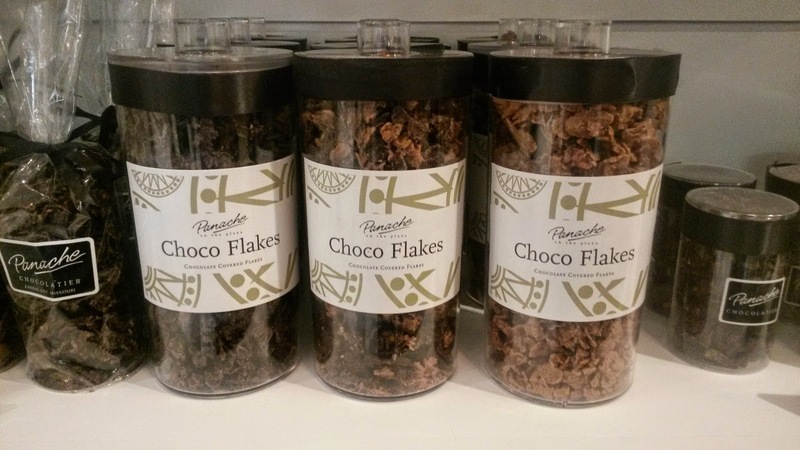 Order online as well at Panache Chocolatier. They are located at 418 Nichols Road, Kansas City Missouri on the Country Club Plaza. Telephone at 816-931-3191. The Panache staff will give you premier service and an unforgettable experience! Thank you to my Friends and Followers who support The Arts. Be sure to sign up for email updates to receive my latest features!